On the latest update of Minecraft Pocket Edition were added boats and now they are used to this new cool map. 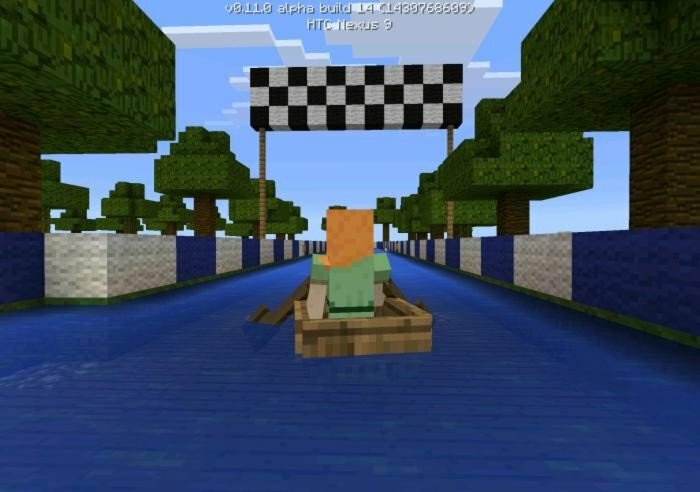 You will spawn near the track, then you must go and sit in to the boat, and start the race. You can play the map with your friends, it should be fun, especially if you'll pick bow and shoot your rivals.